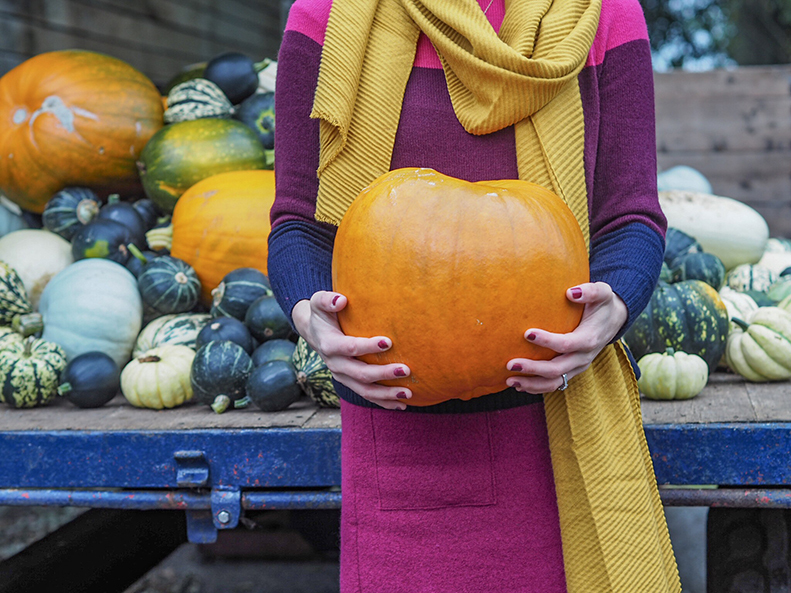 Autumn is well and truly here — and we couldn’t be more excited. Whether you’re looking to update your wardrobe with new playful pieces to wear this season or interested in styling tips for layering up, we’ve got some easy autumn wardrobe updates helpful for everyone. Keep reading for Laura-Ann’s must-have tips on how to get set for the months ahead. Temperatures are dropping and the days are getting shorter – after a brilliant summer, it seems like autumn is actually here now. Without a doubt, Autumn is one of the most beautiful times of the year. The crunch of the orange and red leaves have carpeted the parks and streets. The numerous walks you can take in the cold and fresh air while the sun beams and sets the most beautiful light. Everything about this time of year is just sheer beauty. However, one of the most difficult things to do is dress for the season. We aren’t quite ready for long winter coats just yet, but summer dresses aren’t appropriate either. I love to keep warm, and I also love to stay feminine. Skirts with tights and light knits are almost always my go-to every year. 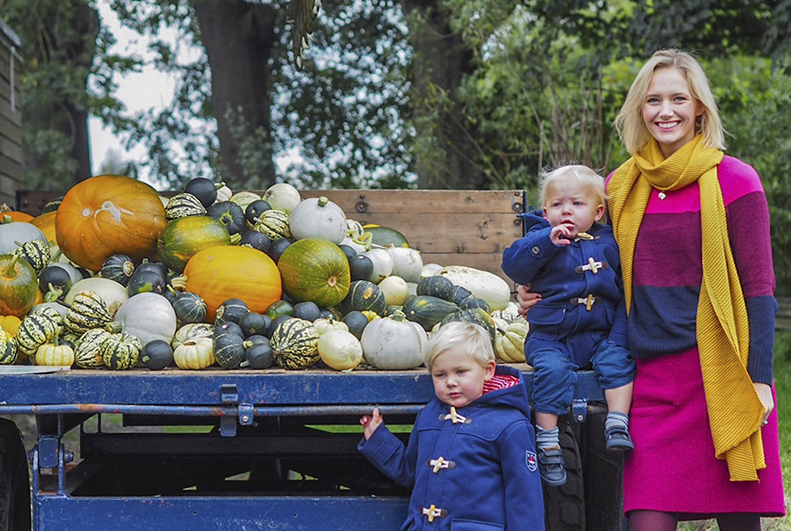 I took my two boys off to pick our pumpkins at our local farm shop and can confirm the outfit is practical as well as pretty. The Boiled Wool Pencil Skirt is one of my favourite Laura Ashley pieces ever, and it has pockets!! Need I say any more ? It is so stylish and elegant, and is the perfect length to pair with knee high boots and tights. Paired with a cosy knit during the day, skirts can also easily be dressed up and worn in the evening with a blouse making it an autumn wardrobe must-have. Capsule wardrobe goals right here! Everything about this Laura Ashley outfit screams Autumn to me: the shades, the textures and the softness. The Colour Block Panel Jumper makes a bold and beautiful statement and is in a super-soft merino wool. It is warm but not overpowering. The Laura Ashley collection of jumpers are some of the best, easy autumn wardrobe updates! What traditions do you have in October? Let us know your thoughts over on our Twitter @LauraAshleyUSA or in the comments below. This entry was posted in Favourite Posts, In Style and tagged Autumn, autumn outfit, autumn style, Blogger, boiled wool, boiled wool skirt, cold weather, cold weather accessories, cold weather outfits, colour, colourblock, colourful, cosy, cosy sweater, cozy, cozy sweater, Fall, fall outfit, fall style, guest blogger, jumper, knits, merino, mom, mom blogger, mom life, outfit inspo, style guide, sweater, transitional outfit, wardrobe, wardrobe essentials, wear to work, womens apparel, womens style, wool, wool skirt, workwear. Bookmark the permalink.